Jake, classic pose with the tail up and nice sharpness. 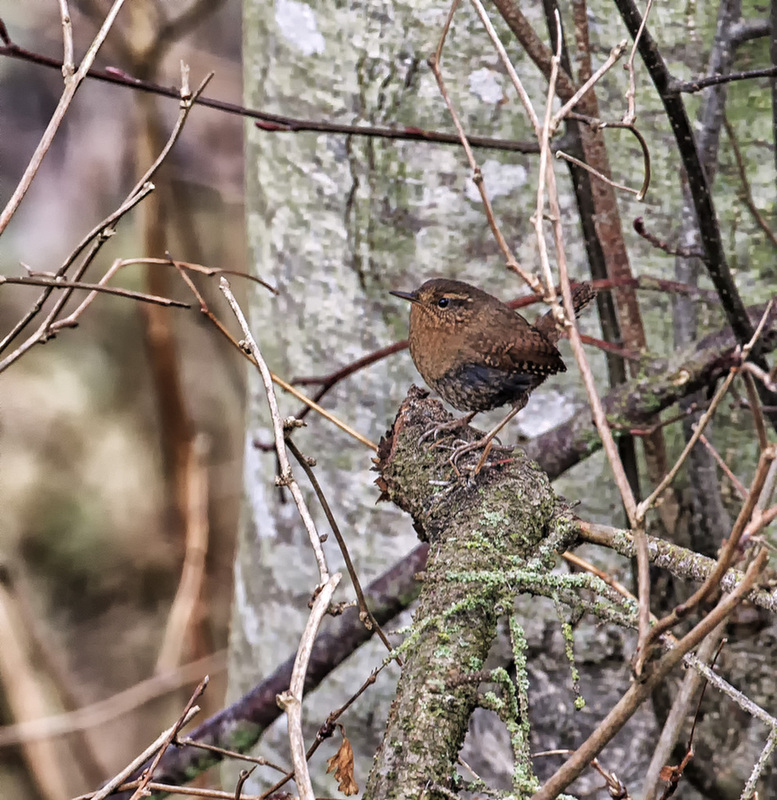 The heavy habitat surely offers a degree of protection to the wren. I'd be tempted to crop off the left side just enough to get rid of that brown oof tree? I think you could make a vertical work here, Jake, and concentrate on this perky little wren.